I have yet to receive confirmation that the Warriors successfully summited the mountain, but stay tuned and I should know more information tomorrow. This is what their day should have looked like. Today the Warriors face their greatest challenge and their goal. 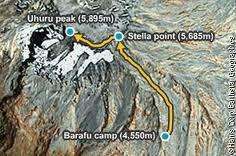 At twilight, they left Barafu Camp and hiked several miles up to Uhuru peak, 19,340 feet! While the sun rose, they trekked through the snow and rocks, working on pressure breathing in the challenging altitude. They arrived at Stella Point to rest and then pushed onward to the summit. After absorbing the view and relishing in their accomplishment, the team descended back down to Barafu camp for a restful break and celebration before they continued on to Mweka Camp. In total, the team hiked 14 miles today. Erich, I love you son and am so proud of you and all the wounded warriors. The world would be a better place if there were more people like the Kilimanjaro Warriors. Congratulations from a military sister who happens to be a PT. 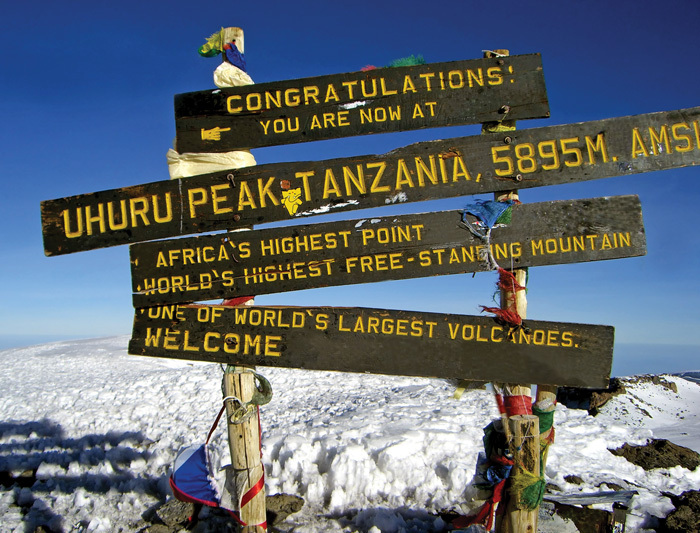 I climbed Kili when I was in college. I am so humbled and proud of what you have accomplished. THAT VIEW will never leave your mind. Now get off that mountain (not too fast, you’ll get sick!) and take care of yourselves. I can not imagine the the rubs/ bumps and bruises you must have at various pressure points. Enjoy the wonderful Tanzanian people and continue to travel smart.